You are currently browsing the The Pet Product Guru blog archives for the day Friday, March 9th, 2018. 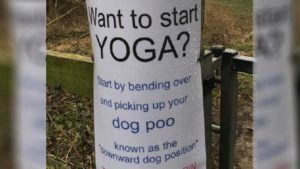 Get Some Exercise, Pick Up Your Dogs Poop! Here’s the scene, you’re out walking your dog around the neighborhood, he starts by peeing on the neighbors flowers, you cautiously look around to see if anyone was looking. The coast is clear so you continue walking. Oops you just remembered that you left the house without taking the little plastic bags or scooperf to remove your dogs poop. You think that you should go back but decide to “wing it” and continue walking. Then the moment of truth. 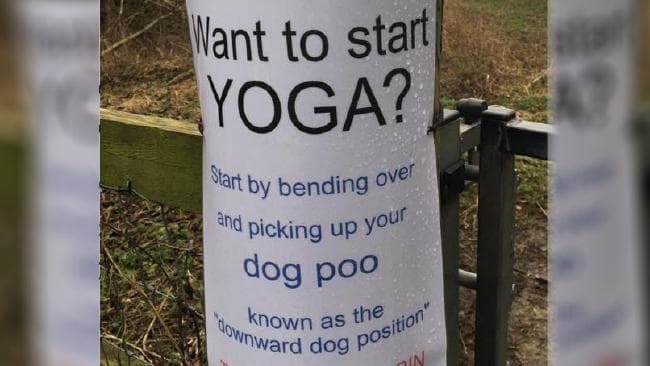 Your dog finds a cozy spot on your neighbors lawn, squats and out comes an especially large poop. You stop, look around and decide to leave it there on the lawn, then all of a sudden, you hear someone shout “what are you doing?” or “pick up that poop you pig!” You’ve been caught in the act! Now there’s no escaping. You are now known as the neighborhood’s non pooper scooper! You are called on the carpet and given a summons for neglecting the rules and defacing the community. Be considerate and scoop your dog’s poop. You help your community and you may even get some needed exercise! Wrap up your week with great oldies and standards! Edgewater Gold Radio is your station for the best variety of oldies from the 50s through the 80’s plus great popular standards! Download the free Edgewater Gold Radio app today or listen from our website edgewatergoldradio.com. add comment Comments Off on Get Some Exercise, Pick Up Your Dogs Poop!